As L. Michael Hall Ph.D points out, we presuppose a Model of Abundance, yet as a community we seem to live and act more according to a Model of Scarcity. So what gives exactly? 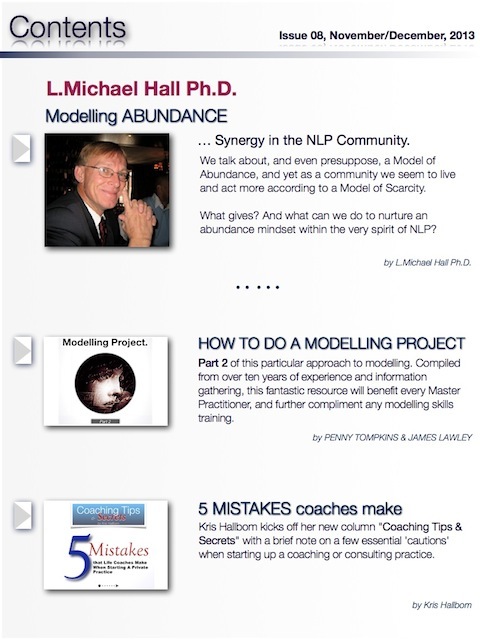 And what can we do to nurture an abundance mindset within the very spirit of NLP? conveniently packaged approach to modelling. Compiled from ten years of information, this a must for every Master Practitioner and a compliment to any modelling skills training. * Kris Hallbom kicks off her new column “Coaching Tips & Secrets” with a brief note on 5 MISTAKES COACHES MAKE and offers a few essential ‘cautions’ when starting up a coaching or consulting practice. 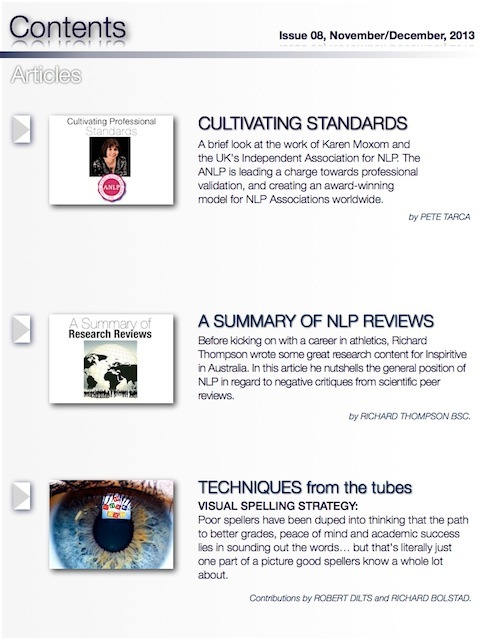 A brief look at the work of Karen Moxom and the UK’s Independent Association for NLP. 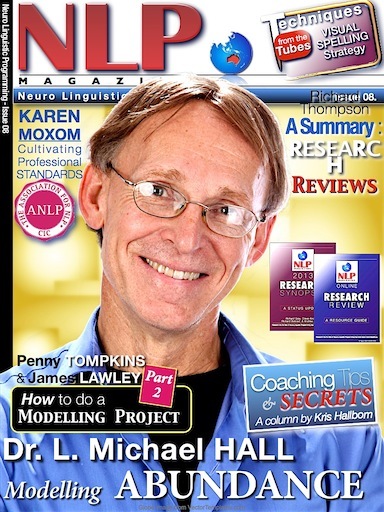 The ANLP is leading a charge towards professional validation, and creating an award-winning model for NLP Associations worldwide. Richard Thompson wrote some great research content in association with Inspiritive in Australia, and this article is the perhaps the best ‘nutshell version’ of where NLP stands in regard to negative critiques in the field of scientific peer review. * TECHNIQUES. The truth behind excellent spellers. THE VISUAL SPELLING STRATEGY. Contributions by Robert Dilts and Richard Bolstad. Your Convenient Connection to the World Of Neuro-linguistic Programming. Subscribe today to ensure you receive every issue. on Apple or Android devices now… and keep the magazine edition Free! Add value to your membership network – Enquire about a Volume Purchase for your organisation. This entry was posted in Magazine Editions. Bookmark the permalink. Financial contributions received with gratitude. NLP Magazine	is powered by Wordpress and AppifyWP.